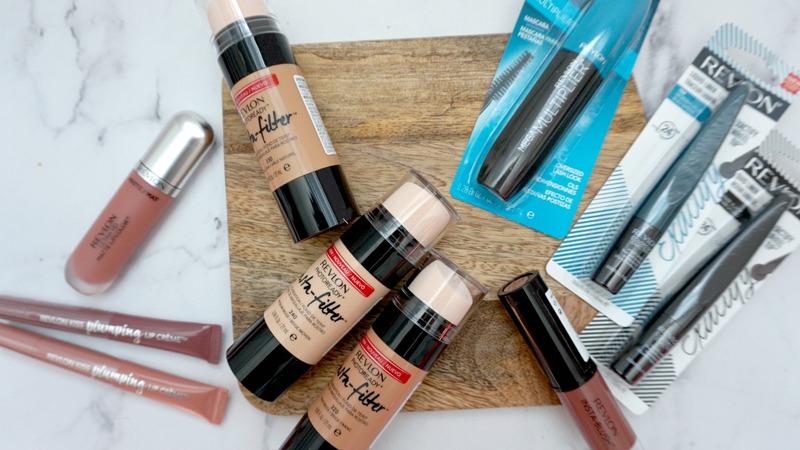 I was recently fortunate enough to be sent a few products from Revlon to try out. I thought that I would focus mainly on the newest item, which is the Insta-Filter Foundation and then use the rest of the products (as much as possible) to create the rest of the look for the before and after shot. 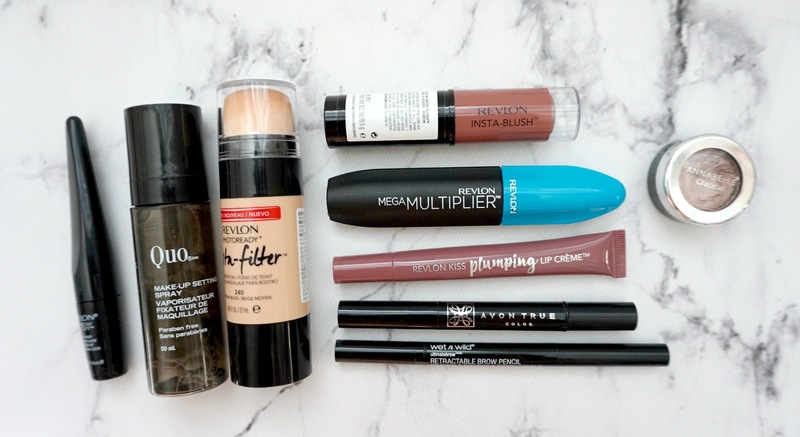 On the bottom of the blogpost, I have included a very short review of each product used from Revlon and my thoughts on it! The Revlon Photoready Insta-Filter Foundation claims to be a flaw-less foundation with a built-in blender so you can have a perfected makeup look anytime, anywhere. As per their description on their site, they also mention that the formula works with your skin type to even and smooth the skin tone and leave you fresh faced while providing a natural finish. To dispense the product you turn the dial at the bottom of the foundation (the black area) and product comes out of the tip in the center as you can see from the photo above. 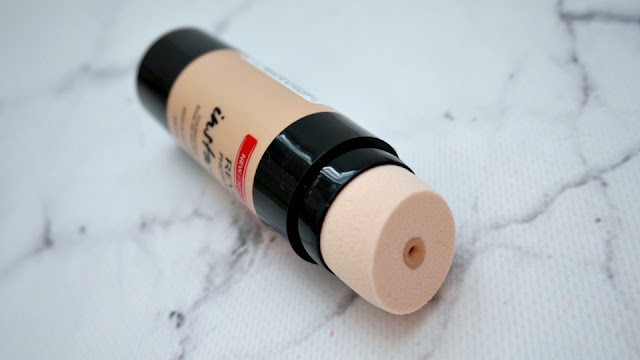 Thoughts: In all honesty, the foundation worked great to even out any discolorations on my skin as well as covering my dark circles. I did not even need to use any concealer on the skin. The foundation worked well to provide me with a brightened skin tone with a medium coverage while looking natural and not cakey. This foundation also looked better as time and the day went on - around the 2-3 hour mark was its best. I also appreciated that this did not oxidize on me. The sponge application was quite stiff, I did not really find that it was convenient or quick to apply my entire face with foundation using the attached sponge. 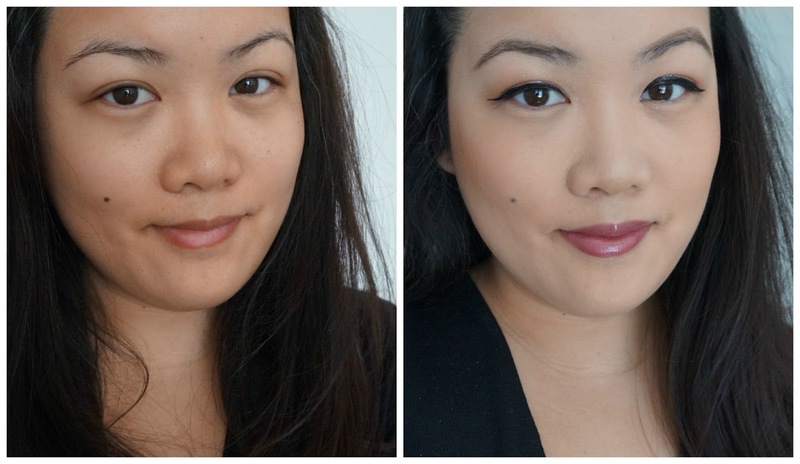 However, it worked well to add an existing layer onto trouble spots - like my eye bags as well as the slanted sponge tip worked well to apply product into the crevices like under the nose. This sponge would be great for on-the-go, versus as an initial product applicator. The formulation itself is amazing as previously mentioned. This is a cream to powder formula that blends effortlessly to the skin and delivers a natural flush to the cheeks. It is buildable without being patchy or disturbing the foundation base. The liner is one to join the newest innovation of liners as instead of your standard brush or felt tip, it has a roller (wheel) applicator. It took a bit of getting used to in the beginning, but I found that this applicator is best used to get really close to the lash line. Also, do not expect to have a perfect line with one continuous roll like your typical felt/brush tip applicator. This is used by going back and forth in small movements along the lash line. This is a great "wing/flick" creator for a cat eye as that is actually a straight line, so this wheel would work great. Great mascara, helped to give my super short lashes some length and hold. It lasted all day and did not smudge on my lower lash line. This is my FAVORITE Revlon product to date and I would like to own it in every color. This is a lip creme (dispenses like a gloss in a squeeze tube) and it delivers beautiful color in one swipe. It is not patchy and is not thick or heavy on the lips, it provides subtle plumping without any burning sensations and as you can see from the before and after pics, it covered my lips evenly and opaquely. This is a must have!